Even so 12 poles and 10 wins is the stuff of title-winning ordinarily. 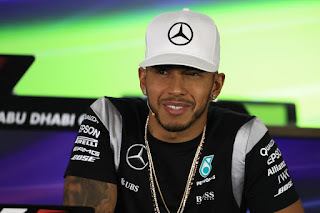 He retained a distinct edge on raw pace and racecraft over the similarly-equipped Nico Rosberg, and Lewis can reflect with some satisfaction that at no point did Nico this campaign defeat him in a straight battle. He also had two distinct spells in the year in which he was close to immaculate, not least late on when he relished seemingly his self-appointed role of the put-upon underdog, battling the odds and fortune. He demonstrated too – not for the first time – that for all we associate Lewis with speed and freakish reflexes he has much more in his repertoire. 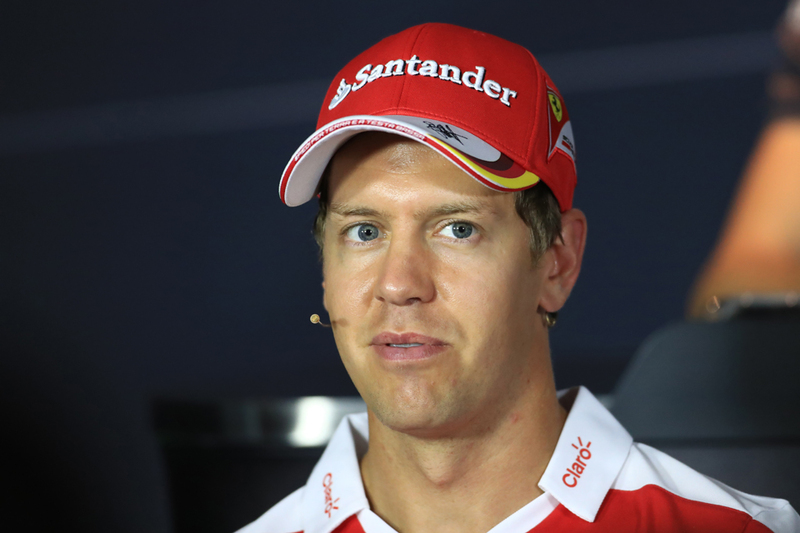 In Canada he was calm and consistent when faced with Sebastian Vettel's contra-strategy. In Austria he stretched out a set of ultrasofts much longer than anyone thought possible. Hungary, Germany and elsewhere he managed races out front, saving his tyres and equipment, in a way that would have made Jackie Stewart proud. In Britain's and Brazil's rain, when many were made to look silly, he scarcely put a wheel out of place. Yet as outlined there was the odd blot too. Now 31, we are left wondering, as we did with his hero Ayrton Senna, whether this is symptomatic of flawed genius rather than merely creases to be ironed out as part of his development. We know that when all is right with him Lewis is devastating. But when it's not almost nothing however ridiculous can be ruled out. We had fresh evidence of both this campaign. It's genuinely hard to argue. Winning imperiously when he could and scoring consistently when he couldn't has added up to titles since the dawn of time. 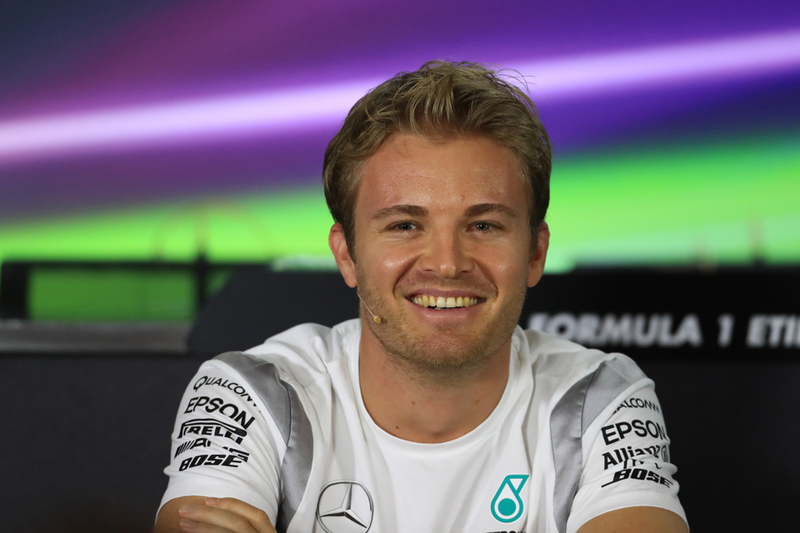 Yet even in what became his world championship year – with no fewer than nine race victories – Nico Rosberg remained the persistent enigma. Even now the fog hasn't entirely cleared. His wins almost without fail were immaculately executed, dominating from the front. His performances in Singapore and Japan – both acute driving challenges and at the championship crunch point – were wonderful and extreme high points. But if Nico's is an analytical and industrious approach, that can be formidable if all the calculations come together, the flip side is that when the unforeseen is thrown in he's less impressive. In the rain in Monaco, Silverstone and Interlagos he was timid. Sometimes he was clumsy when wheel-to-wheel, see Monaco, Canada and quintessentially in Austria when his team mate attacked. But perhaps even in this he was however finding a new resolve as the year progressed. While it was forgotten readily given what happened next, in Spain he swept majestically around the outside of team mate Lewis Hamilton at turn one. In Austria his aggressive race recovering from a grid penalty was impressive (until the last lap), as was his run to third in Malaysia after being spun around at the first turn (and many thought him unlucky to get a penalty for an atypical-for-Nico robust pass on Kimi Raikkonen). Then we had the final, title-clinching round where he put decisive manners on Max Verstappen of all people. More than anything else Nico's title was reward for sheer resilience. In 2014 we assumed that was his one championship chance lost, a la Mark Webber. In Austin last year when he threw his cap at Hamilton in frustration most thought he was done. He's known about his team mate's sheer speed since his teens. But he kept coming back, undiminished. Indeed in his Abu Dhabi afterglow he spoke of Austin as his long dark night of the soul, from which he emerged stronger and his run of victories that followed immediately went a long way to setting up his drivers' crown. And now the rationalist that he is, with his ultimate achievement bagged he walks away – that enigma again. This season it transpires was Nico's F1 epitaph, and it was a fine and fitting one. 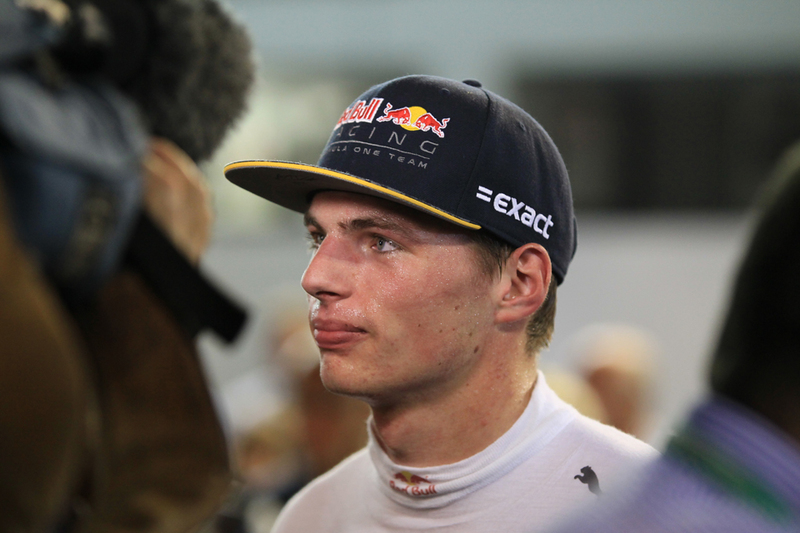 We started 2016 thinking of Max Verstappen's path to a multiple champion as probable. We ended 2016 thinking it as certain. He simply rose ever-higher, sweeping aside whatever new challenge was in front of him. Not even being thrust into a front-running team at a moment's notice represented a problem. And where he goes from here simply is unchartered, the sport has never had someone this good this early. You wonder how high he can go. And while Max is linked primarily with youthful speed, aggression and bravery what really impresses is that he is also good at things we have no right to expect from a 19 year-old. Brain power, poise, adaptability, a fine ability to stretch out the life of any tyre compound... He is one who learns too – many of his 2015 foibles now seem long gone. 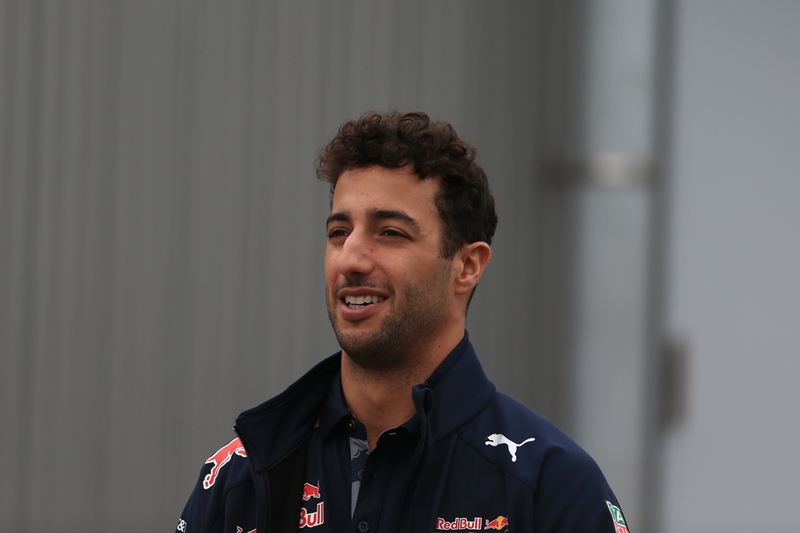 Also in his Red Bull early days this year frequently the qualifying gap to his new team mate Daniel Ricciardo gaped at several tenths; as the season got into its latter part Max qualified ahead regularly. On the downside, an occasional clumsy error still was on show, such as in Melbourne, Austin and at turn one in Abu Dhabi, and just like last year at Monaco while he was fast he seemed incapable of keeping it out of the barriers. While in his most common criticism some of his moves in defence are hard to stomach. Not that it bothers him. There clearly is steel with all of the talent. To see him walk out of the Hockenheim drivers' briefing, one in which his Hungaroring chops were discussed, was to see a man without a care in the world. Similar with his brass neck in going on the attack in front of media microphones in Mexico, when plenty thought he was the one with things to answer for. In something reminiscent of Ayrton Senna while Max's sheer self-assurance may sometimes grate, equally it likely will help him to great things. And perhaps, just as was the case with Michael Schumacher (another whom Max is compared to routinely), it is not entirely chance that his tendency is to stretch boundaries but not break them. But if Max in defence is messy Max in attack is anything but. He continued this season to be the sport's most willing racer, and probably its most able. Indeed Max making a pass reminds one of Rob Walker's words of Alain Prost's overtakes: "so graceful and sure, almost like ballet..."
Even so Max's year hadn't reached its crescendo. That awaited in Brazil's streaming conditions, where he far surpassed even what he had achieved already. Ricciardo, himself a fine rain driver and on roughly the same strategy, was passed and left behind to the tune of nine seconds and five places, in just 13 laps. This was our confirmation. Max Verstappen is a phenomenon. That was more like it. Last year we wondered sometimes if it was the same Fernando Alonso in the black car that we knew so inimitably from his time in the red one. This year we could not fail to recognise him. Not least in that his points haul and championship placing – 54 points and tenth in the standings – were a great deal more than his equipment deserved. Everything else was there too – the relentless pace, the hustling of a car much faster than it cared to go, and the almost voracious appetite for the track and opponents ahead. The scarcely credible gains of places on lap one were an almost race-by-race occurrence. His qualifying match-up with Jenson Button, 15-5 in the Spaniard’s favour, suggested there wasn't much amiss with Alonso's raw pace either and indeed some of his efforts to get into Q3 were stunning. Each of his points hauls had a strong family resemblance – fast and resolute conversions of a race strategy, without a hint of error even under extreme pressure. In Austin though where he equalled his best result of the season it was reward for unceasing attack. While his late charge in Brazil's treacherous conditions, albeit not much noticed with everything else that was going on, also defied belief. In his main errors of the season, getting into a spectacular barrel-roll in Australia after clipping the back of Esteban Gutierrez's Haas and having almost as spectacular spins in Silverstone's and Brazil's wet, at least he could point at mitigating circumstances. Though forgetting apparently about the need to save fuel and tyres in Hockenheim, and a go-slow second stint in Monza, were firmly in the debit column. With his air of impatience and occasional barbs sent in various directions there remains some sense of Fernando being one constantly on the brink of walking out. Yet that he's still around should tell us something, as should his desperation to drive in Bahrain when the doctors said no – to the point of doing press-ups in the stewards' room. Trackside observers still note markedly more commitment from him than just about any other. His fervent and desperate battles with opponents have continued too. It's like he doesn't know any other way. 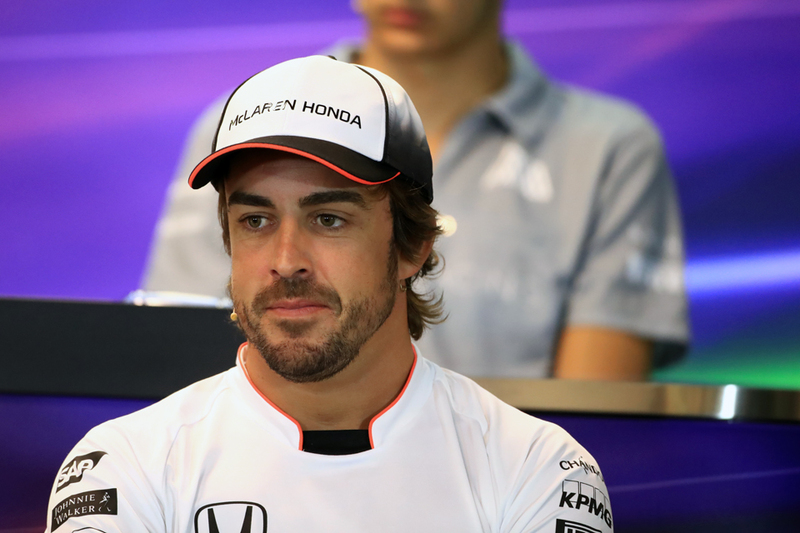 Whatever his dissatisfaction, it is clear that for Fernando Alonso championship number three still remains very much unfinished business. And this campaign dashed whatever doubt was around that he is more than capable of delivering it. How March seems a long time ago. Then as all convened for a new F1 season we were convinced that Sebastian Vettel was living some kind of charmed existence, and that he in harness with Ferrari was about to give the imperious Mercedes pair plenty of concern. Reality however soon cut in, and he has become just the latest to discover that false dawns are not unheard of at the Scuderia. Neither are impatience, disappointment and flux. The SF16-H started as off the Merc pace then if anything sunk further from it as the year went on (and to make matters worse was tricky to set up). Not for nothing were the smiles of 2015 rather more likely to be scowls as this campaign reached its end. You can make a case though that Seb didn't always do himself justice either. He developed an odd tendency for getting into first lap scrapes, which weren't always his fault (Russia) but sometimes were (Malaysia certainly and perhaps he contributed to the ones in China and Belgium too). Some of Seb's personal behaviour was unpleasant, not least his screeching at Daniil Kvyat during and after the China race and at Charlie Whiting in Mexico. His driving generally was more scrappy than in 2015, such as that he ran off the road in Australia and (several times) in Canada and as well as spun and later got a time penalty for forcing an opponent off the track in Silverstone. A number of qualifying laps were spoiled by errors too. Astonishingly the pole master actually ended the season down 11-10 to team mate Kimi Raikkonen in Ferrari's qualifying match-up. It all led a few to surmise, with minds on 2014, that while Seb makes the absolute best of good situations when things are not entirely around him perhaps he doesn't keep up his own end of the bargain completely. Though ironically too Seb this campaign tended to be more impressive in the races, where he was determined and consistent, albeit often undermined by poor pit wall calls. It's easy to forget that with better strategy, or rather not bad strategy, he could have had three victories from this season nevertheless rather than his big fat zero. His late charges in Japan, USA, Mexico and Abu Dhabi were welcome reminders also that he's far from being Ferrari's problem; Ferrari rather is his. The driver-team relationship continues but rumours of strain linger, and they were rather assisted by odd comments from his boss Maurizio Arrivabene in the Autumn. Some wonder too about Seb's future, within or perhaps even without F1. All of a sudden, he seems at a crossroads. Carlos Sainz had for a time been a man easily forgotten about. Last season nearly all of the focus was on his 17 year-old whipper-snapper team mate. This year with Max Verstappen away from immediate comparison something similar manifested, particularly around the year's mid-part. Sainz qualifying well inside the top ten then bringing the thing home quickly to bag a healthy load of points was done so consistently and with such little rancour that we grew almost habituated. To the point of not stopping to give him credit. 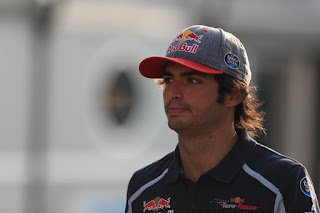 But credit is indeed due, as it was around the maximum that his machine deserved, and one of the things to be thankful for this campaign was the cementing of Sainz's reputation of one of the sport's finest current driving talents. But we should have twigged earlier. In 2015 while his peaks were never as high as those of the astonishing Max, Carlos certainly was nearly as good as well as perhaps more consistent, better with an unbalanced car and probably a better technical head too. While this year you can make the case that it was pretty much the same from Sainz only with 2015's run of wretched luck from technical retirements and the like ending. Even so his results this campaign in Monaco and Austria likely would have been even better without slow pit stops – a podium in the former was not out of the question. The weekend in Spain was likely his high tide watermark, with an excellent qualifying lap followed by dicing with the Ferraris in the race on the way to a maxmised result of sixth. Mistakes have been few too – binning it in Canada's qualifying perhaps being the only one. Even in the season's late part as the Toro Rosso's year-old Ferrari unit seriously got left behind the Spaniard still managed to impress. Sainz himself thought Singapore was his last chance for points, but though that was missed (through no fault of his) he did indeed score again – twice and two big hauls indeed – thanks to excellent rugged drives to sixth in the USA and Brazil. Red Bull knowing the talent it has is loath to let Sainz go. On the other hand a vacancy at the A team doesn't look like it'll open up soon. But such is the growing interest in him you feel that something's got to give before too long. It is ironic that it was only after Kimi Raikkonen was confirmed in Silverstone to remain at Ferrari for another season – a decision that elicited a round of knowing groans – that he started to show why the decision may in fact have been made for the right reasons. Up until that point it had rather been more of the same from him – competent enough but little more than as a decent back up driver. He wasn't helped either by a few qualifying errors and a pathetic run in Monaco. But we should have known really, partly as it's an F1 truism but partly too as it reflected what Kimi himself had been telling us all this time. That in this game talent tends not to disappear. Not entirely anyway. It mainly instead requires the right circumstances in which to manifest. And this year, particularly its latter part, it seems that finally the Finn found a means of meeting his Ferrari halfway. As before the drives were smooth and consistent, and he almost always witnessed the chequered flag. Now though on Saturdays and Sundays he was doing it in far closer range to his team mate Sebastian Vettel, and often was ahead. And this was not merely at his happy hunting grounds such as Spa, in the tight and technical tracks he also did well, such as at Singapore where his was the quicker Ferrari. He indeed headed Seb in the points standings late in the season, and might have stayed there had he not been on the end of some rather funky Ferrari strategies which almost always backfired (and which on some occasions looked minded mainly of getting him out of his team mate's way). It didn't help either that the team neglected to fit all of his wheels on at an Austin pit stop, and that he got a gearbox penalty in Japan. In Seb's defence though, as the above intimates the German remained Ferrari's quicker race day proposition most of the time. As the year went on Kimi even managed to show up better in qualifying, his bugbear of recent seasons, by starting ahead of Seb in the final five rounds. This helped him actually top that match-up for the season. 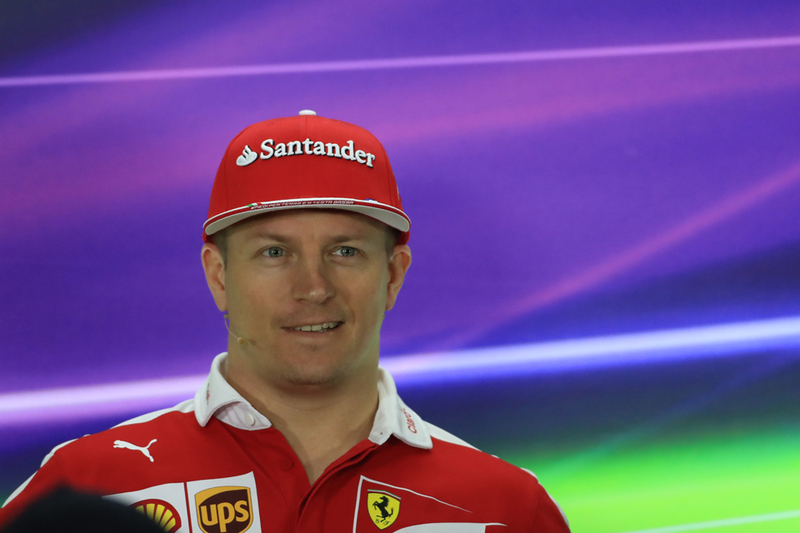 We've been waiting for the Kimi of 2005 to re-emerge, roughly ever since that season ended. Probably even now we haven't quite got it back. But what Ferrari does have is a very handy pilot. A clear best-of-the-rest behind the 'big three' teams in the drivers' table with upwards of 100 points. Really there should be little to quibble about Sergio Perez in 2016. And, eventually, there wasn't. But it was even so something of a season of two halves for him. In the first part despite some appearances it felt a little like Checo was slipping back into his Sauber ways – in that his occasional eye-catching results were flattering him a little, over the piece at least. 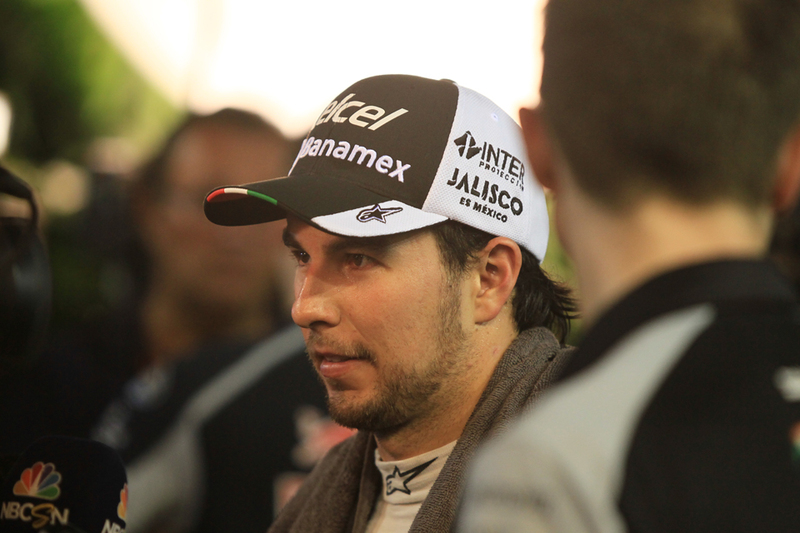 His highs were very high indeed, bagging two more podium appearances in what surely is a Checo special. In Monaco he timed both stops perfectly, benefitted from others' delays and drove aggressively to third. While Baku was his best weekend of the year, with his qualifying mark good enough for the front row (though sight should not be lost that it was his own error that got him his grid drop) and then some more classic Perez gentle tyre-handling pushed him up to third place in the race. In Silverstone he bagged sixth after he vaulted several places when his switch to inters coincided with the Virtual Safety Car. But after the summer break he knuckled down, delivering the consistency of performance that he started to deliver in the latter part of 2015 too. Indeed Checo from Germany onwards scored everywhere, and in that time his only conspicuous boo-boo was getting qualifying wrong at home in Mexico, which had a lingering impact on his race. Japan, where he ran in the top three for a time, was his peak in this spell while his fine run in the Brazil rain was rather a breakthrough as well. Elsewhere the drives were pretty consistently the eight-out-of-ten sort. And as for the suspicion that the gumball Pirelli formula could be made for Perez, in that it allows him to prevail with tortoise rather than hare approaches, there is rarely much between him and his team mate Nico Hulkenberg on a qualifying lap – even when the German seemed on the top of his form in the year's final part. It suggests Checo is about much more than that. As ever selecting the occupant of final slot in this top 10 seemed a conundrum, and this time it came down to a close call between Valtteri Bottas and Nico Hulkenberg. And the Finn gets it, thanks in large part to the Hulk's distinctly iffy opening half of the year counting against him. Yet perhaps we should in any case be cutting Bottas some slack, in that his campaign was rather an archetypal F1 thankless task. In a car that started as modest and didn't develop, and a team mate most thought was underperforming, there wasn't much Bottas could do to distinguish himself. You could make a case that he did much of what reasonably could be expected by putting stable mate Felipe Massa away decisively – his 17-4 qualifying lead over his team mate was the best of the entire grid indeed. 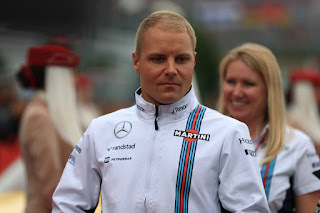 But in that perennial F1 way it appears that in a trying situation Bottas's own reputation somehow suffered by association. That his star has waned since 2014 seems undeniable, but equally it's hard to point at much he's done wrong in that time. And once again in 2016 Bottas for the most part did what he could in a flat lining machine. Many of his performances were very good indeed and could have been right from his 2014 pomp – superb qualifying laps in China, Russia (to get onto the front row), and Italy. In Sochi and Monza he maximised things in the race too as he did on Saturday and Sunday in Spain and Mexico. His race in Canada was excellent also, with strong pace and tyre management getting him his sole podium appearance of the season. But equally too Bottas has done his bit on occasion to live down to expectations, such as poor qualifying performances in Australia, Bahrain, Baku, Hungary, Malaysia and Abu Dhabi, and a poor race in Britain. Sometimes he didn't keep his tyres in order on Sundays – see Australia, China and Austria – plus in Bahrain he clattered into Lewis Hamilton at turn 1. As seems to be annual event he didn't do well at Monaco. It by now is thinly-veiled that Bottas is looking for a change of scene, with it thought that only Williams digging its heels in about him serving the final year of his contract stopped a Renault switch. It's easy to see why he's looking for a change.